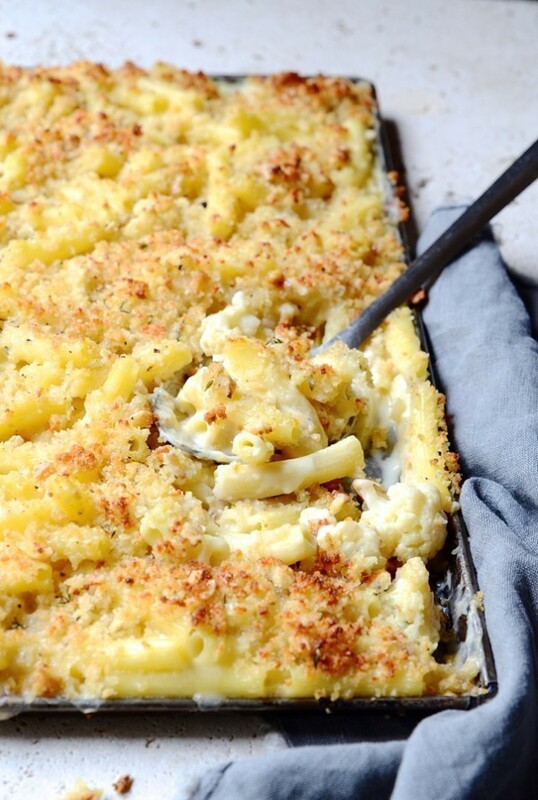 Mac and cheese is a crowd pleaser. I have several versions, this being the favourite. While the recipe is my own, the idea to use a sheet pan is one I found on Food 52. 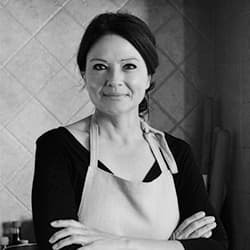 Amanda Hesser explains that a baking sheet is the only way to go. It’s crunchy toppings for everyone! With the pasta spread out thin, there’s more surface area and thus, more crumble. The addition of cauliflower adds a sweetened nuttiness that comes from roasting vegetables. If you’re pushed for time, just tip the cauliflower florets into the pasta water for the last 4 minutes of cooking and drain well before mixing in the white sauce. Most of the ingredients here are kitchen basics like milk, bread, butter and cheese. For the topping I use Parmesan and walnuts, although a sharp cheddar or gruyere are good substitutes. If you prefer a stringy cheese, mozzarella does the job. Pasta doesn’t like hanging around, so eat hot from the oven. 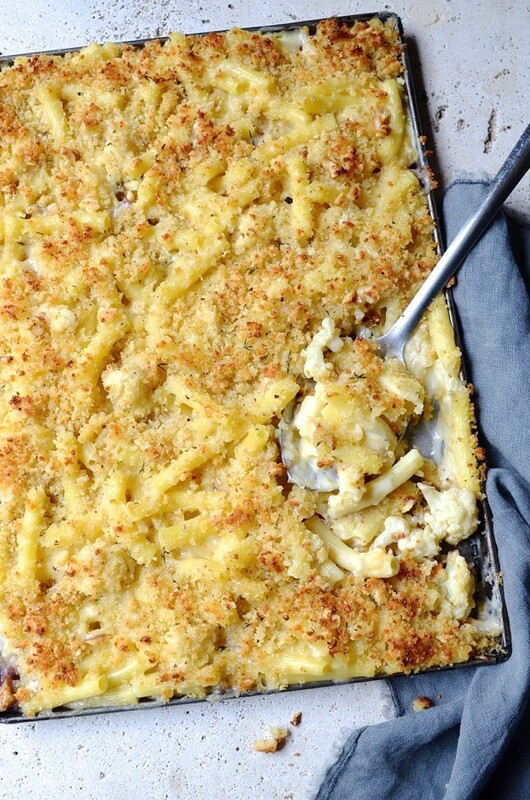 This recipe is featured on The Feedfeed along with 50 more drool-worthy mac & cheese’s. A must visit for serious pasta lovers! Preheat the oven to 180º C. Spread the cauliflower florets onto a roasting tray, drizzle with olive oil and season. Toss to coat and roast for about 20 minutes. 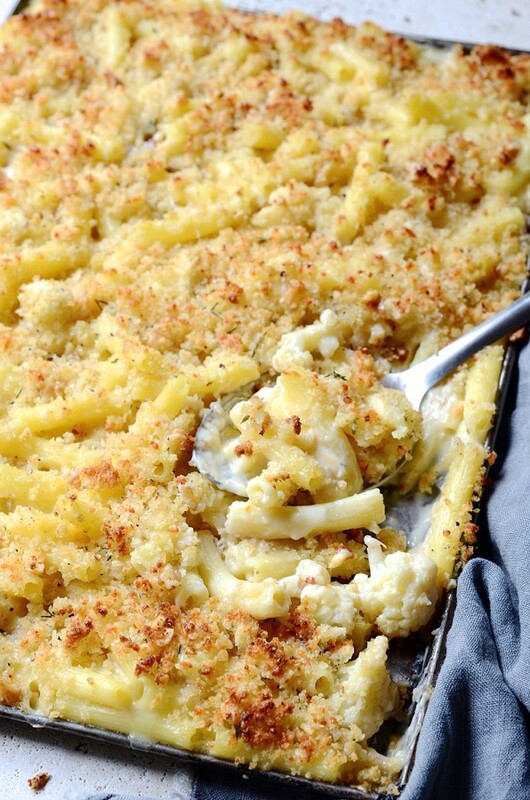 Turn the oven up to 200º C. To assemble the Mac and Cheese, pour the cheese sauce over the cooked macaroni. Add the cauliflower and fold through. 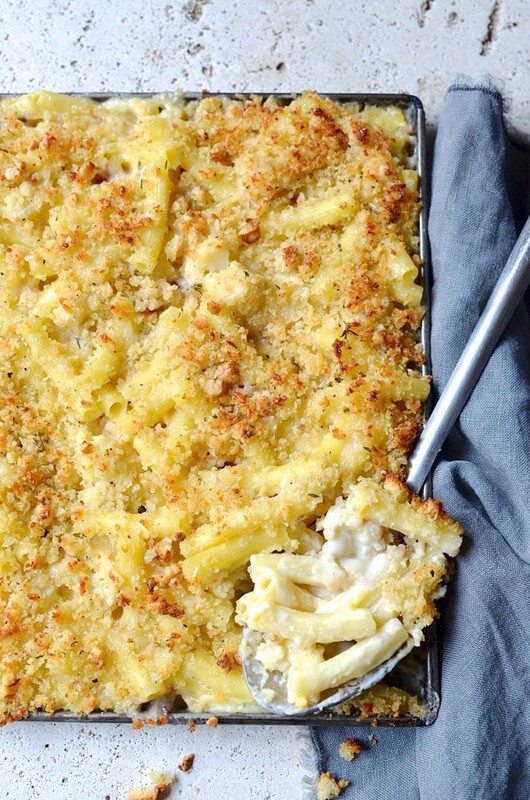 Transfer to a baking sheet and spread the parmesan crumbs on top. Don’t press down as you want the crumble to be light and chunky. Bake for about 15 minutes until golden. I’ve been licking my screen ? No need really. Just get into the kitchen!! Isn’t it just? Pasta just seems to be the number stop when you need a food hug! This is one of those “dishlicking” winners ,not only on meatfree Mondays! Thanks Di! Also a great way to include more veggies! The photographs demand I make this now! I just woke up and will be distracted until I can eat this. A very scrumptious distraction it is! Hope it lands on your table tonight Karl. A definite teenage crowd pleaser… made it last week Friday. It is Alna. Even my 48 year old ‘teenager’ can’t get enough of this crunchy topped pasta! I’m not good in math so the conversions are freaking me out! Hi Tessa. Let me know what system you’re working with and I’ll see if I can help. Much more crunch per bite, right? A complete win with my family every time. Looks wonderful! Can you convert to ounces, tablespoon/teaspoon, and fahrenheit? Will a 9×13 inch glass pan work? I’m hoping to make this for my son’s 3rd birthday! Thank you!! Hi there Minh-Hai. Sure. You can bake the pasta at 350 fahrenheit. If you have a slightly bigger dish, you’ll get more topping into each bite. If not, the 9 x 13 will be fine. 1 Tablespoon = 15ml and 1 teaspoon = 5ml. For the weight, 50g = 1.8 ounces and 60g = 2 ounces. Hope that helps.